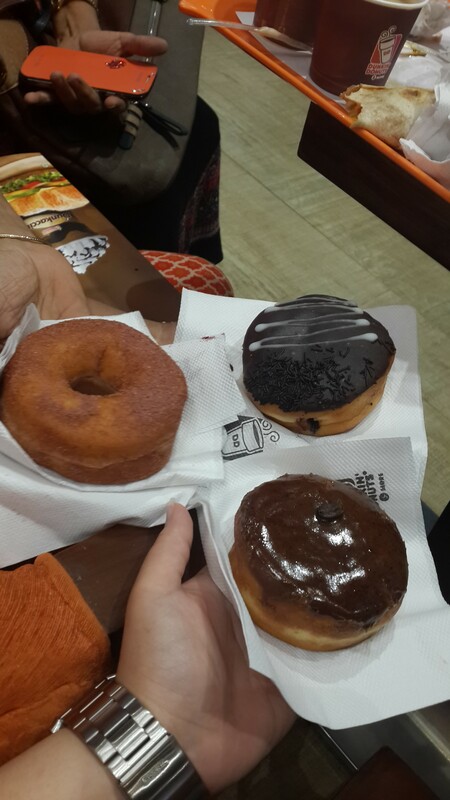 “Finally ” is the right word to use for the launch of Dunkin Donuts in Bandra, Mumbai. I won’t be writing an introduction for Dunkin Donuts because who doesn’t know Dunkin. We all have gone abroad and oohed and aahed over their donuts. Hoping and wishing ” Bombay main kab khulega.” So brace yourself Dunkin Donuts have arrived. 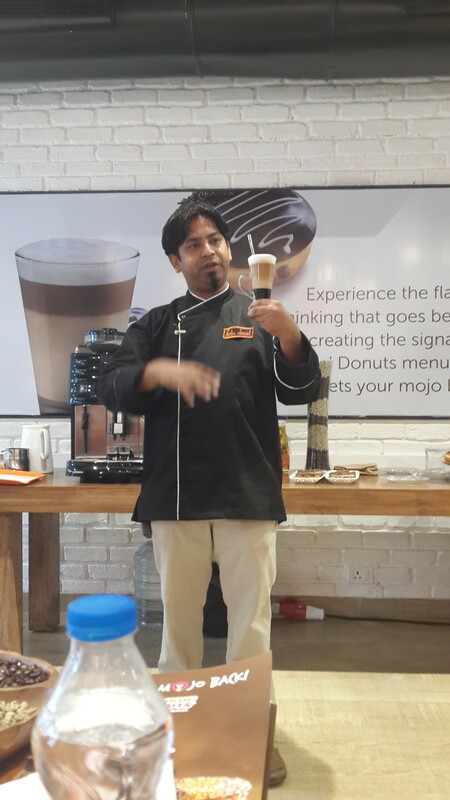 I was invited a day before the official launch date, for a culinary workshop through Sameer Malkani of FBAI ( Food Bloggers Association India). I was excited as any other person there. I couldn’t wait to try the doughnuts. 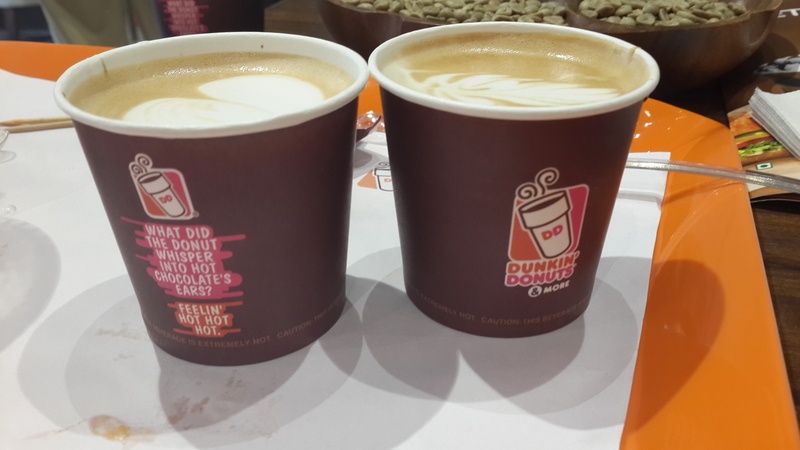 Situated at the heart of Bandra at Linking Road with easier parking options Dunkin has found a perfect place. The store is big and spacious with indoor and outdoor seating. 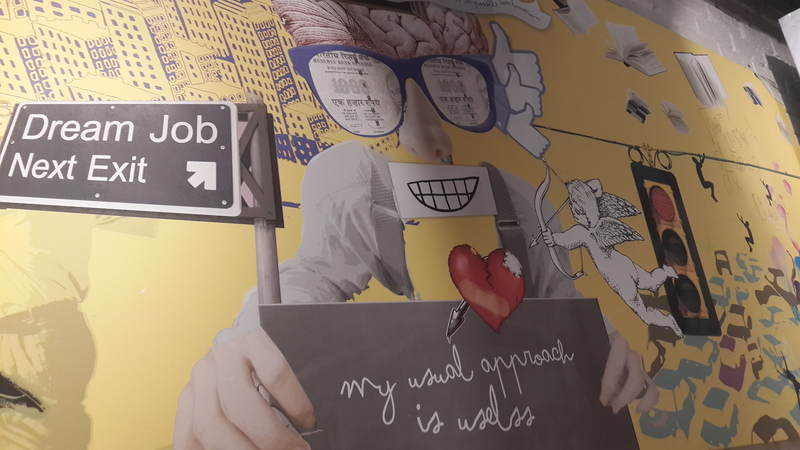 The decor is bright and pleasant, though nothing like a doughnut place ( I don’t know if there is any special decor for doughnut joints but you get the idea) but more like a restaurant or cafe thing. 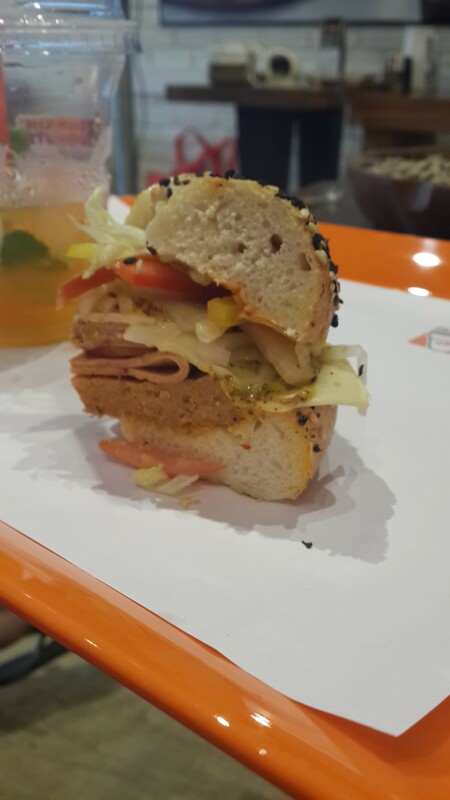 Coming to the food, Dunkin Donuts is not selling just doughnuts, but it is selling everything from coffee, ice teas, burgers, wraps, sandwiches and much more. Though I would have loved just a coffee and doughnut place but then it is not my decision to make. 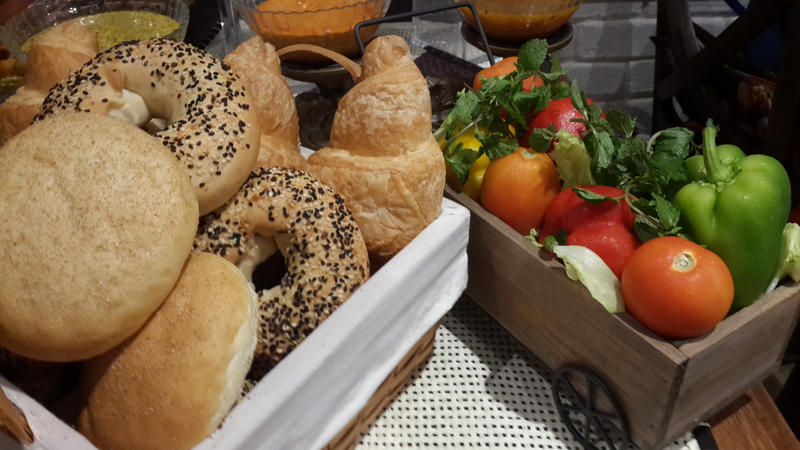 I am going to talk more about the doughnuts and much less about the food. I feel the doughnuts is the high light of this place and not the food. 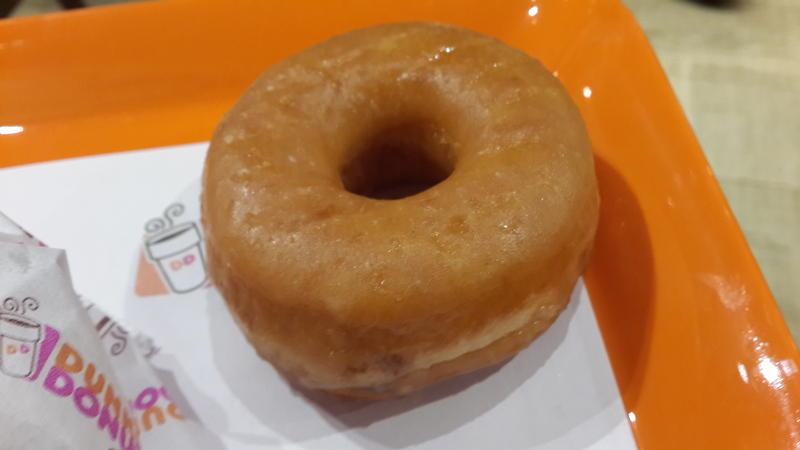 The first doughnut I tried was the Classic Glazed Doughnut or Donut. Will it be too obvious if I say I loved it. 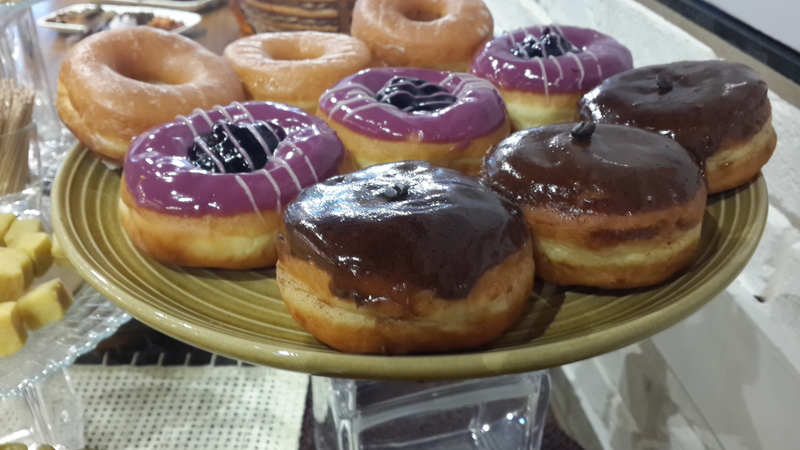 What I really liked was that the doughnuts are huge at least compared to the size that are available here. 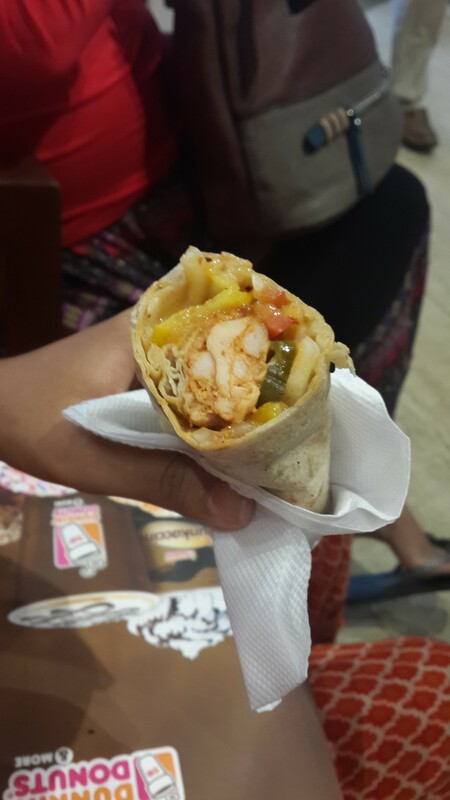 This one was soft, yum and filling. There are ample of flavors to choose from Classic, Cinnamon, Cookie, Blueberry, Coffee, Alive by Chocolate and Death by Chocolate and many many more. Yes we had a lot of doughnuts. I wanted to love the Coffee one because I love coffee, but at the end I kind of just liked it. I actually really liked the Death by Chocolate. Cinnamon also being one of my favorite ingredient, though bit messy tastes good. But the winner for me is Classic and Death by Chocolate. 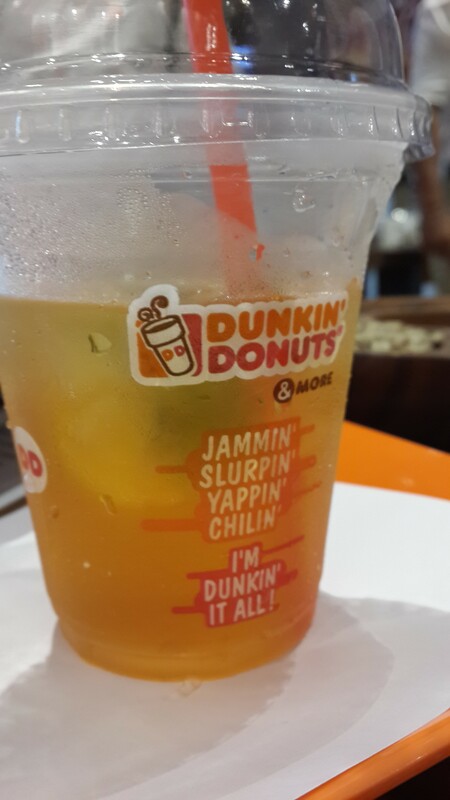 Second best thing that I loved at Dunkin Donuts, and which will keep making visit again especially in this very wonderful summer is the ice teas specially the spiked one. The Ice Teas are actually brewed and not just powder mixed in the cold water at Dunkin Donuts. The best results because of this is that the sugary taste which we find in most of the ice teas is missing, which makes it super delicious. The Spiked Ice Tea is my favorite because it has the perfect hint of all the spices. It super refreshing and a must in this heat !! The Cappuccino is okay. The have a special coffee called Stirr’accino, which I didn’t taste. It is a mixture of two coffees as they say, though it really looked tempting, hopefully next time. The Tough Guy Burger and Wicked Wrap are the specials of Dunkin Donuts. I am not a fan of the food they are serving. And they are catering more towards the burgers and wraps than the doughnuts when it should be vice versa, again not my call. But for me, if I would be visiting Dunkin Donuts, it will be because of the doughnuts and the not the burger or wrap. So guys Dunkin Donuts has finally arrived and go eat some delicious doughnuts.